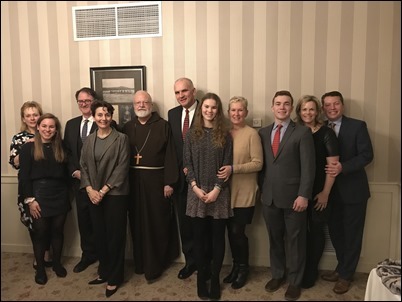 Last Thursday I was invited to be part of the Flatley Scholars dinner at the Harvard Club in Boston. 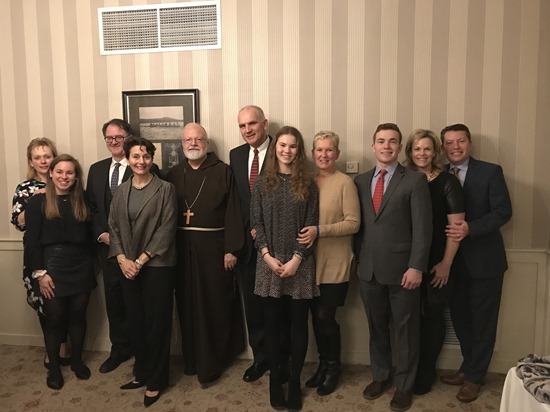 There, they brought together three of the Flatley Scholars and their families who are studying at the Catholic University of America. Since I am on the board of Catholic University, they asked me to be there. 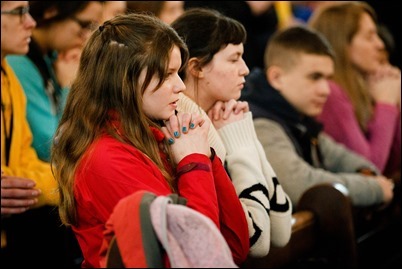 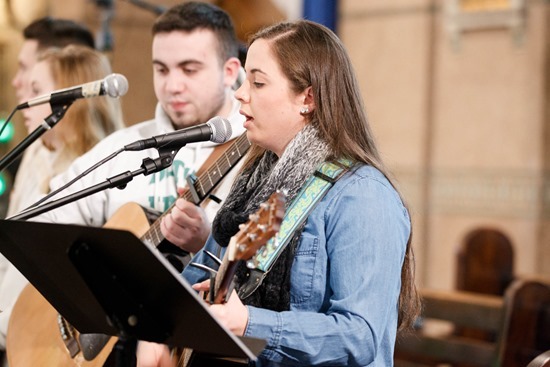 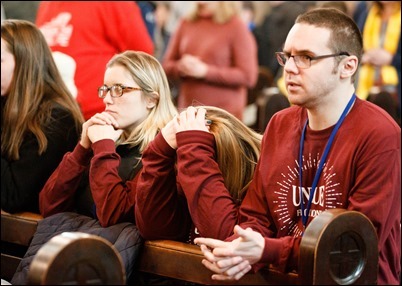 We are so glad that we have young Catholics from Boston studying at Catholic University, which is a very fine Catholic institution. 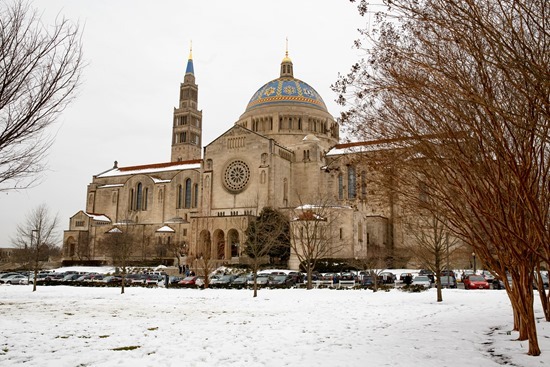 The students are just finishing their first semester and are all very enthused and very happy with their experience at CUA. 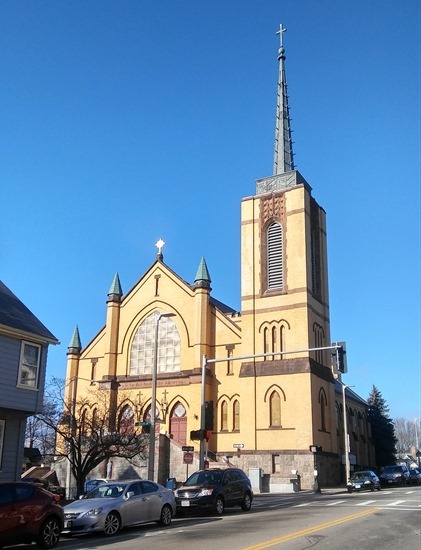 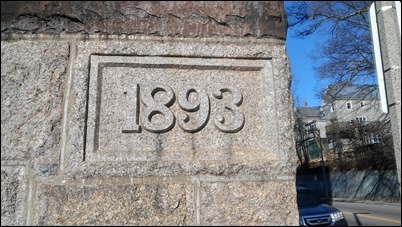 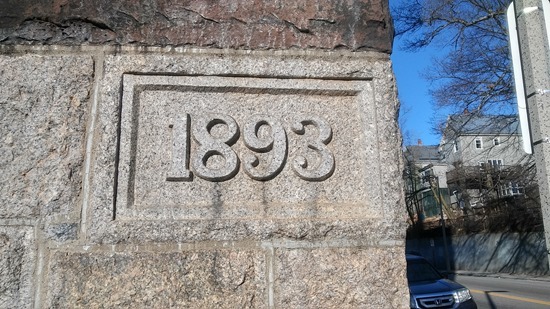 Sunday I went to Sacred Heart Parish in Roslindale to join in their celebration of the parish’s 125th anniversary. It was the Feast of the Baptism of the Lord, so we had a sprinkling right and a renewal of baptismal promises. 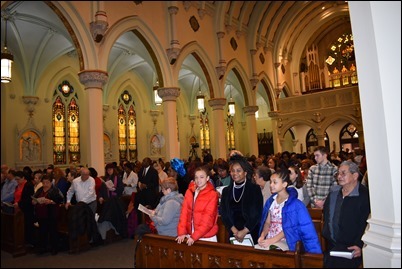 It was a wonderful occasion on which to celebrate the anniversary of that community, which is just thriving. 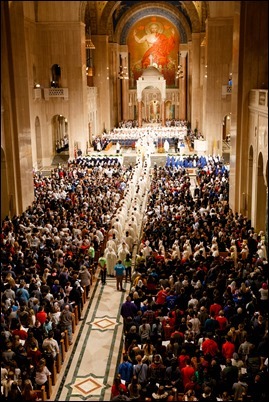 There was a full church and many young people. Historically, Sacred Heart was a very Italian and Irish community, but now there are something like 35 nationalities represented in the parish. 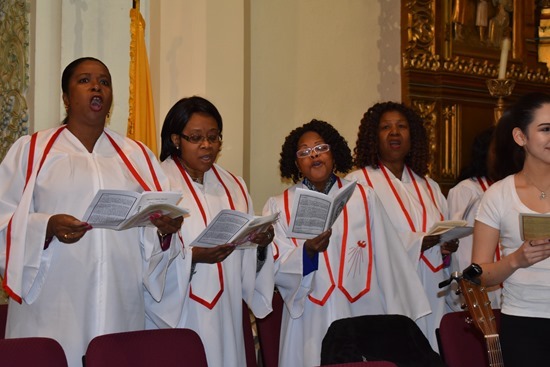 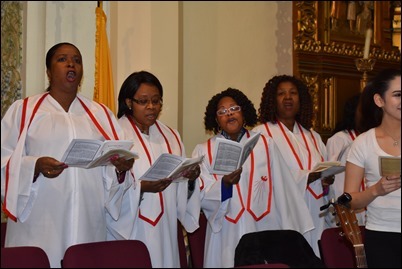 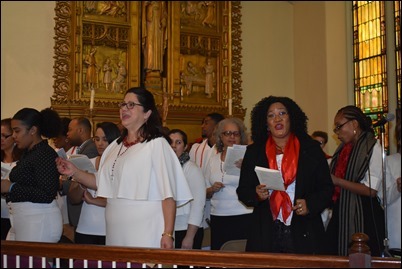 That diversity was certainly represented at the Mass, where they had wonderful choirs singing in Creole and Spanish. Msgr. Frank Kelly and his team have done an extraordinary job there, and it was wonderful to be able to be with them as they celebrated this important milestone for their parish. Sunday evening I attended a dinner held by the Sister Disciples of the Divine Master at their house on West Street in Boston. 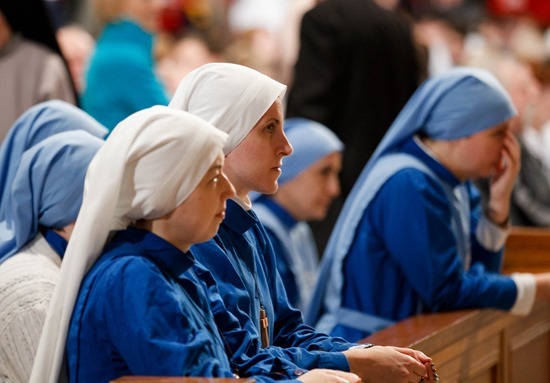 Each year at Christmastime, the Sister Disciples organize this dinner for priests. 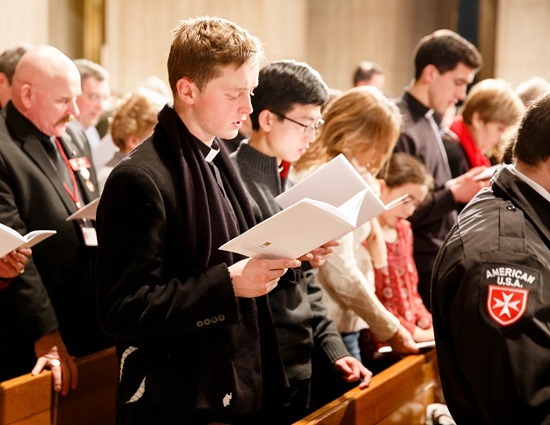 We start with Vespers followed by a lovely dinner together. 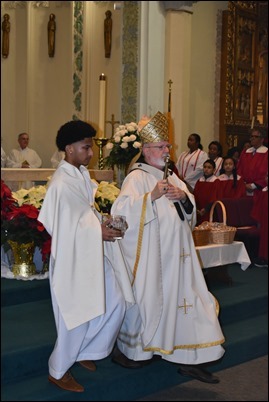 Afterwards, we sing Christmas carols together and, of course, Father Paul Rouse, as always, did a wonderful job playing the piano and leading us in song. 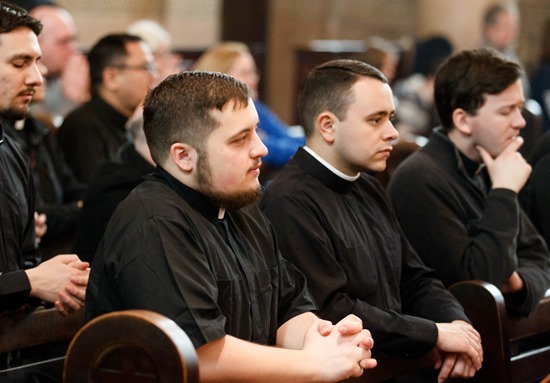 Monday, the Friars at St. Lorenzo Friary in Jamaica Plain invited me to come and give a talk on Franciscan vocations for their men who are in formation. 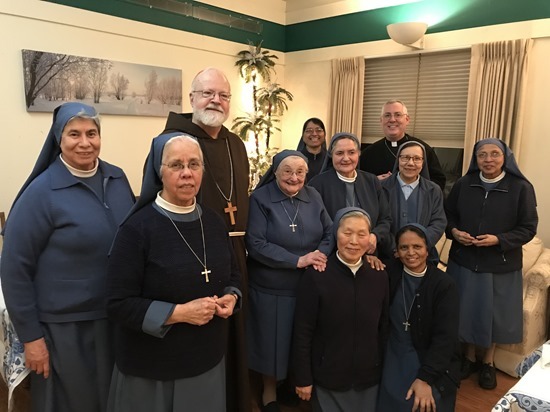 We had Vespers, dinner and a time of conversation, during which I could answer some of their questions. It was a nice opportunity to be together with them, and I am always very happy to encourage our young religious. 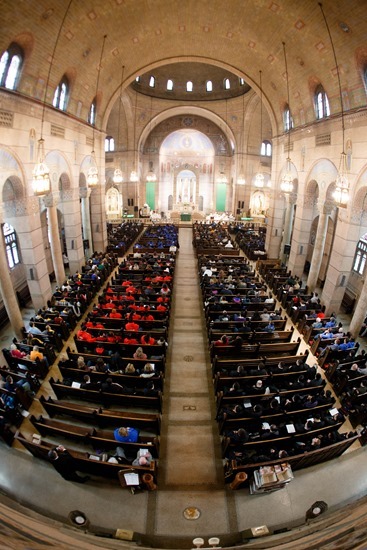 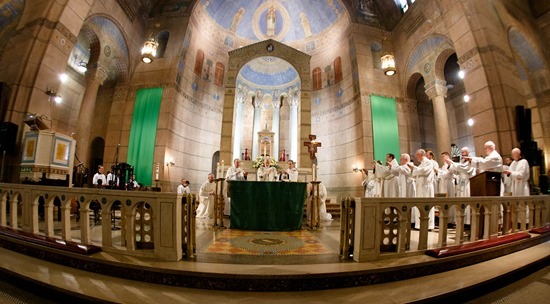 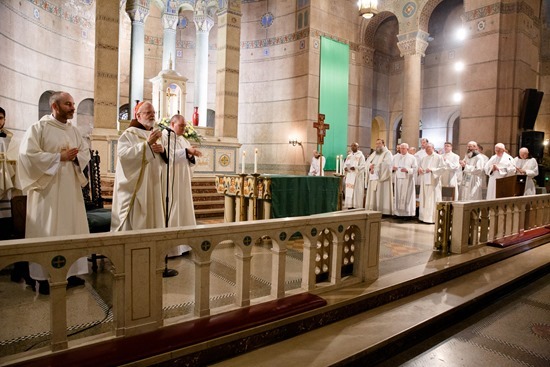 Tuesday, I went to St. John’s Seminary for a farewell Mass for Msgr. 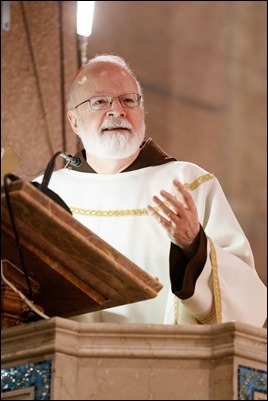 James Moroney. 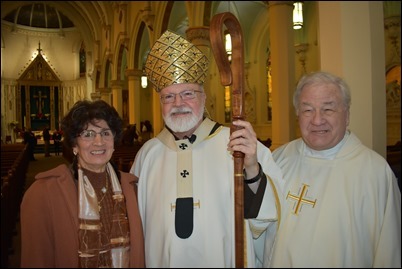 He has finished his sabbatical and has received a new assignment from Bishop McManus of Worcester. 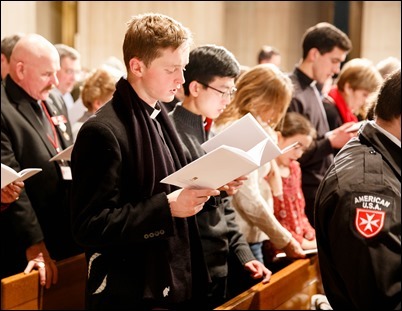 He will be the rector of the cathedral there as well as be running the liturgy office for the Diocese of Worcester. 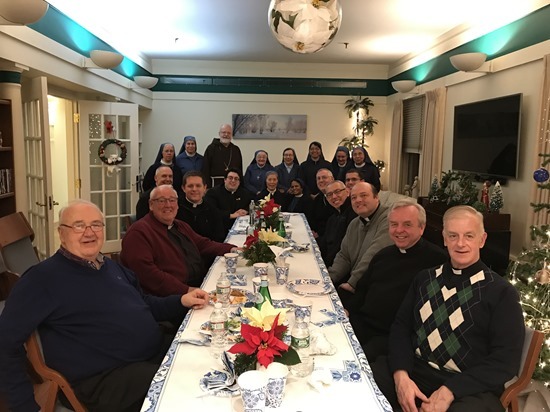 So, we had a Mass and dinner where the Board of Directors, faculty members, seminarians and members of our vocation office gathered to bid him farewell. 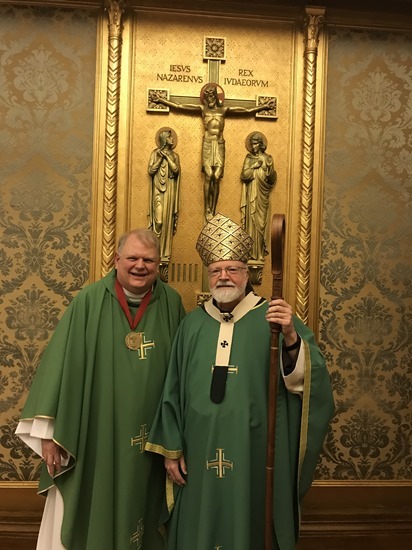 During the evening, the seminary presented him with their Archbishop Williams Medal in recognition of his service to the Church in the United States. 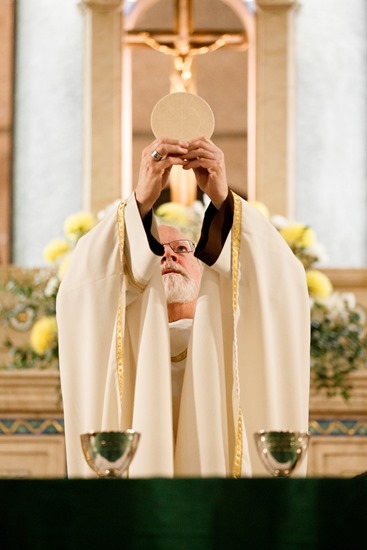 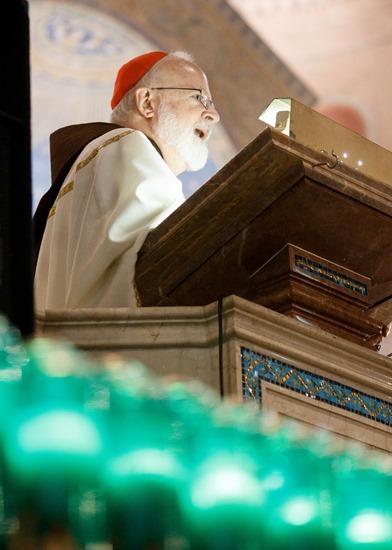 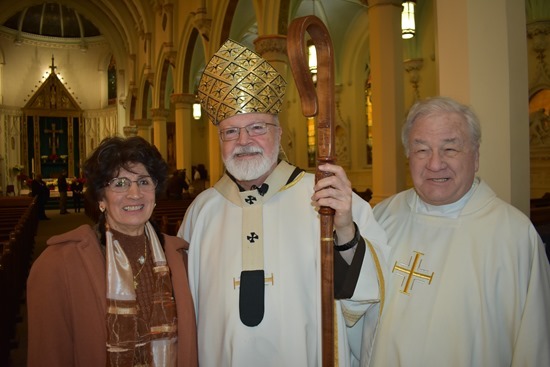 He was particularly recognized for all the work he did in preparing our archdiocese and other dioceses for the new missal, his work with the Vox Clara Committee and, of course, his many years as rector of St. John’s during a time when there was great growth. 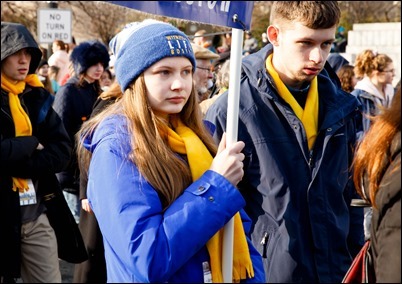 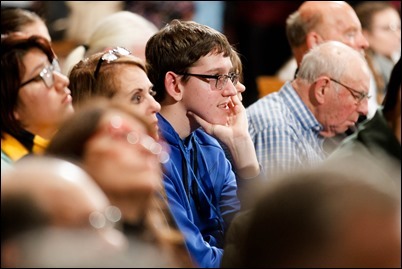 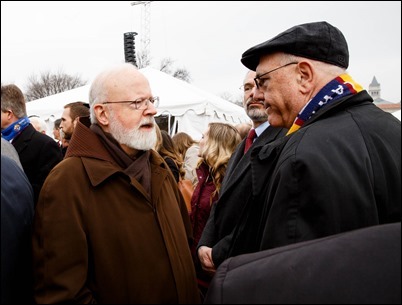 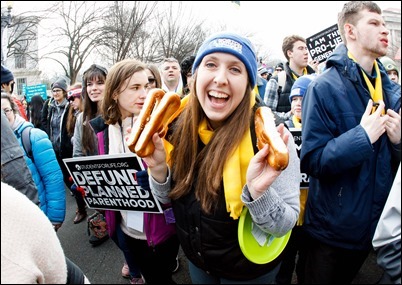 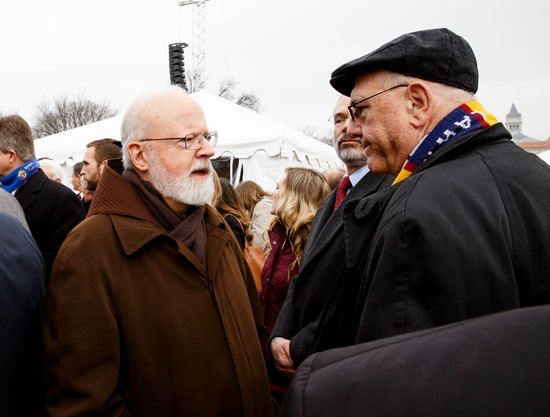 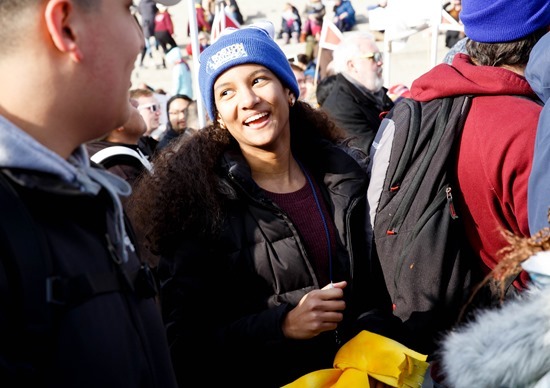 On Wednesday, I traveled down to Washington, D.C. to be present for the events surrounding the annual March for Life. It is always a very inspiring and important opportunity for Catholics and others to witness to the dignity and value of human life. 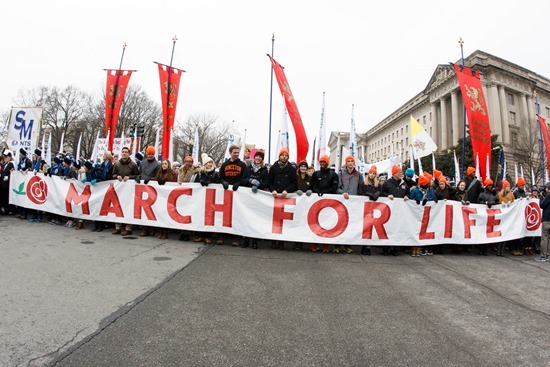 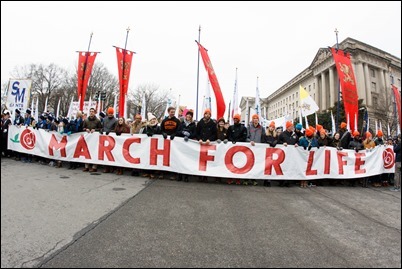 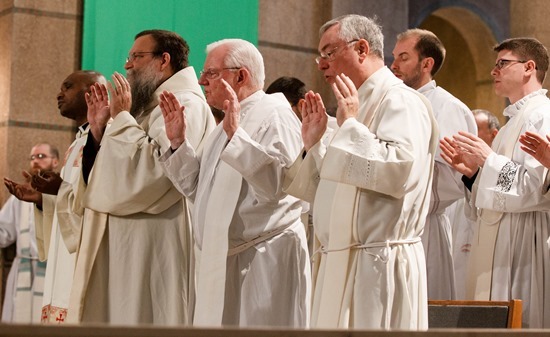 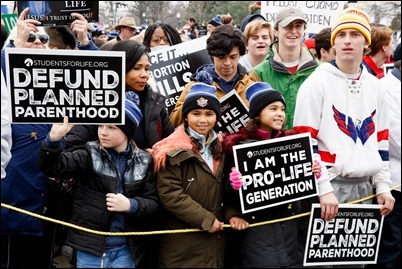 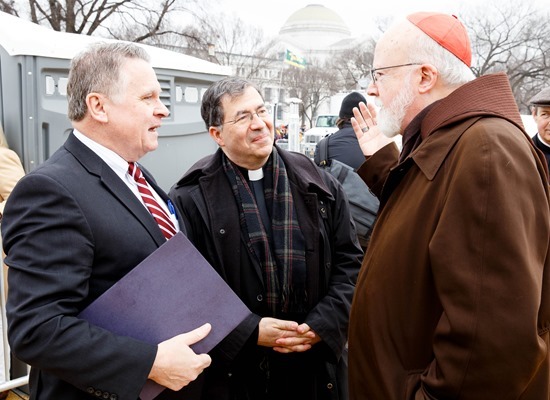 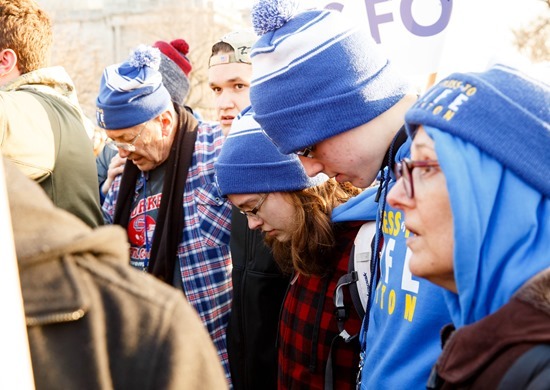 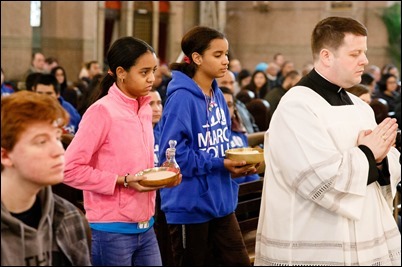 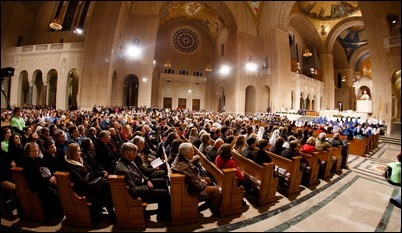 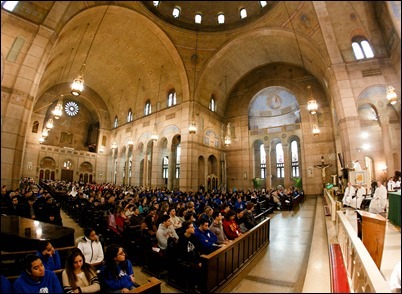 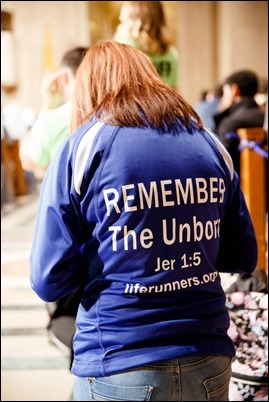 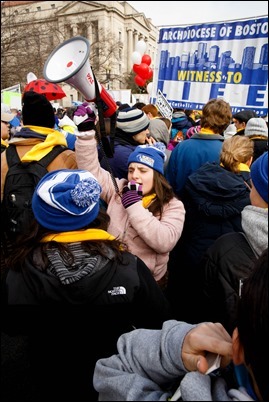 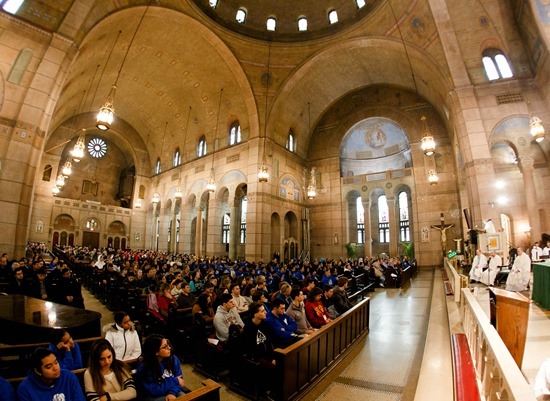 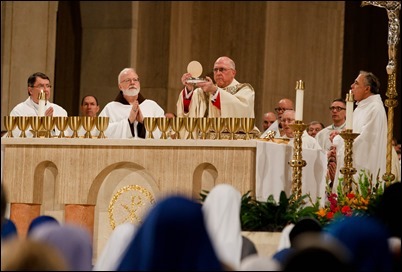 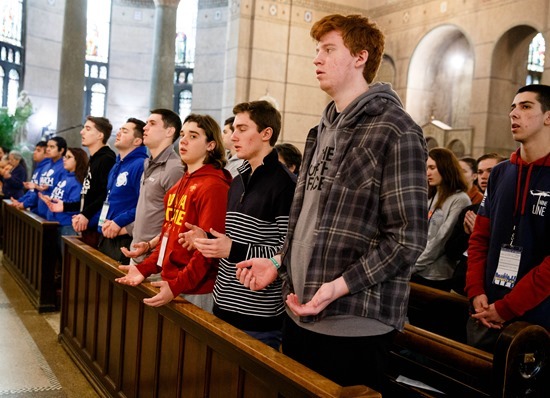 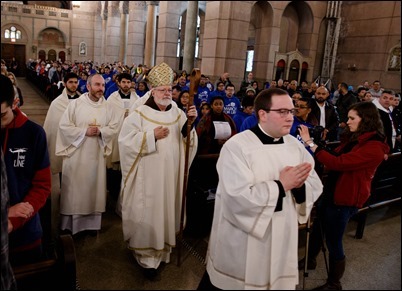 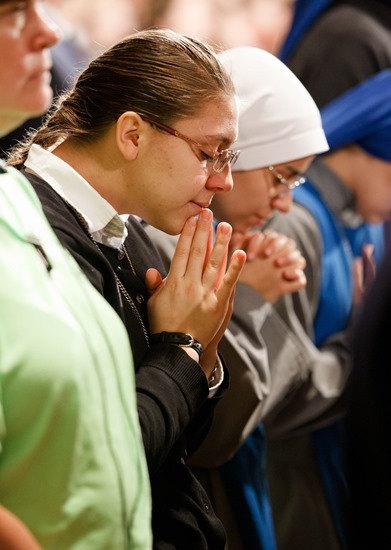 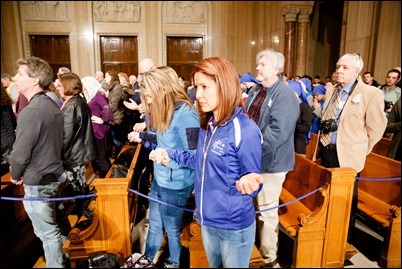 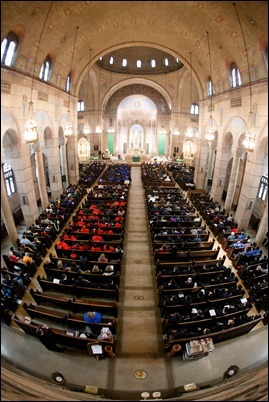 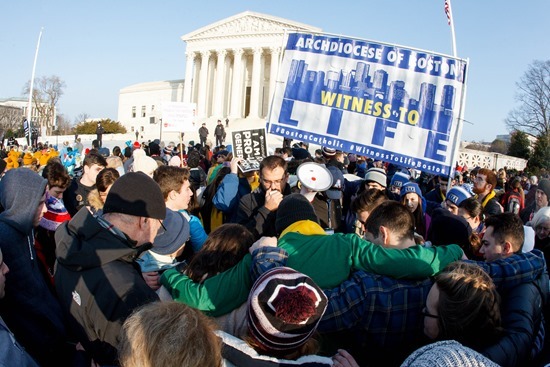 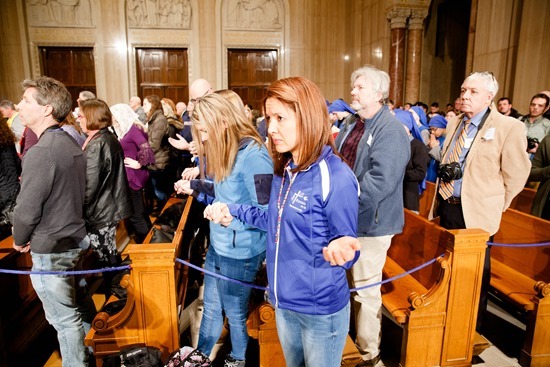 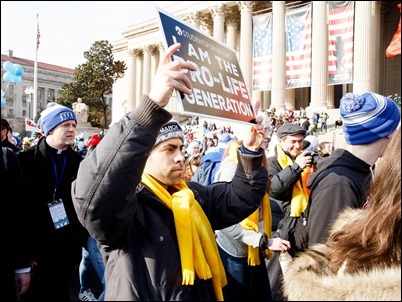 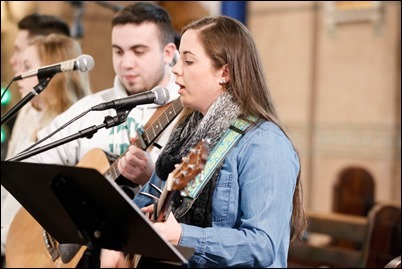 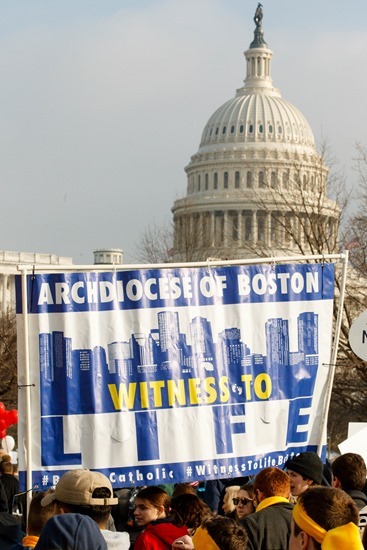 The first of these events was the Opening Mass of the National Prayer Vigil for Life, which is held each year at the Basilica of the National Shrine of the Immaculate Conception. 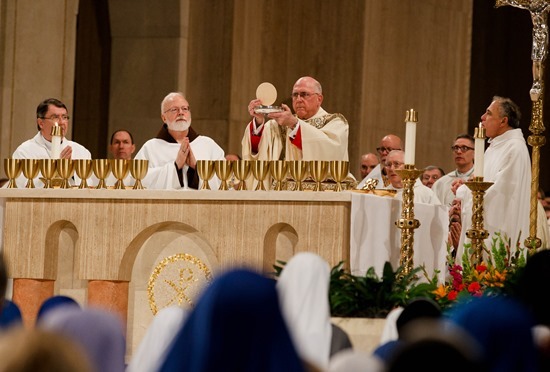 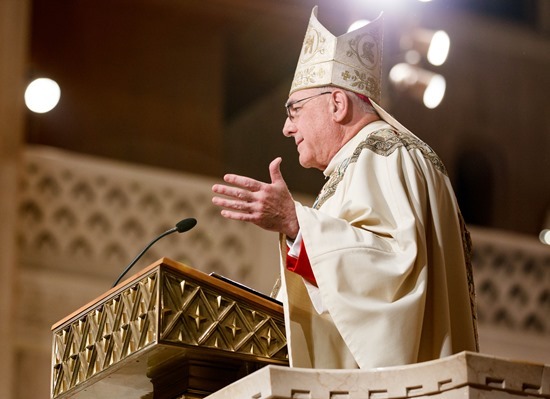 This year, Bishop Joseph Naumann of Kansas City, Kansas, whose involvement in the pro-life movement dates back to his time as a priest in St. Louis. 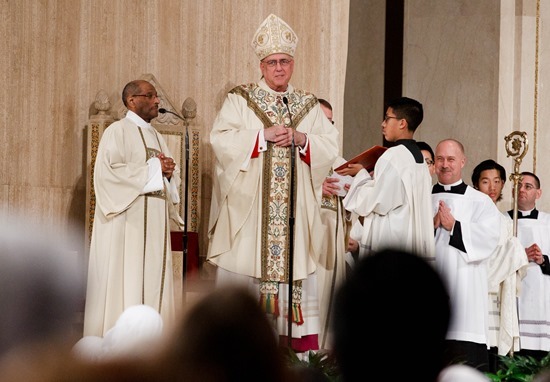 He is the current chairman of the U.S. Bishops’ pro-life committee, so he was the principal celebrant and homilist. 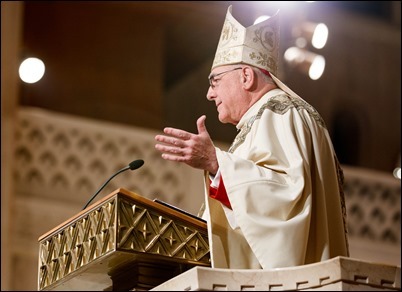 He gave just an extraordinary homily, in which he addressed so many important themes of the pro-life movement. 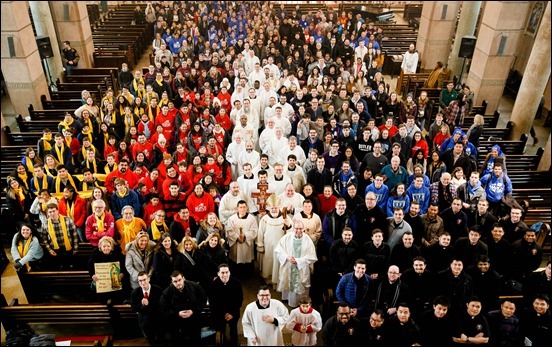 It was, as always, so encouraging to see so many priests, seminarians and religious and young people at the Mass. 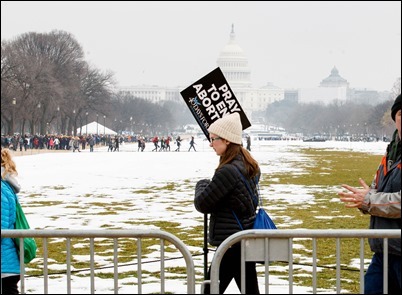 I understand there were nearly 10,000 people in attendance. 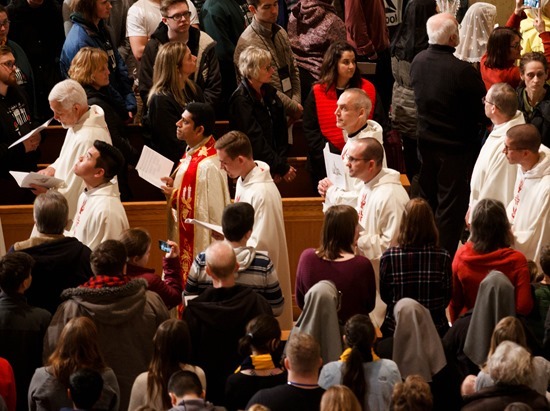 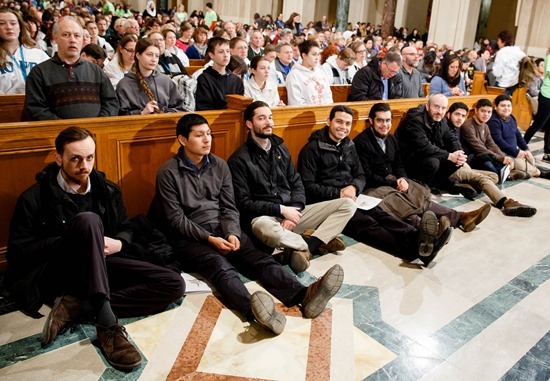 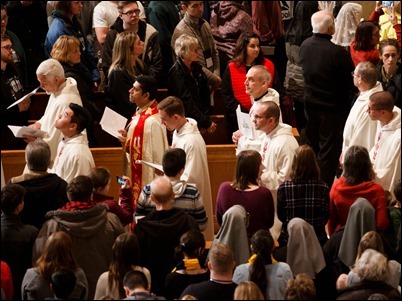 Our own seminarians from St. John’s, Pope St. John XXIII and Redemptoris Mater were there in great numbers, and they participated in the all-night vigil at the shrine, as well. Then, this morning, we had our annual Mass for all the groups at the March from Boston at Sacred Heart Shrine, the Hispanic parish where I had served the Haitian and Hispanic communities many years ago as a young priest. 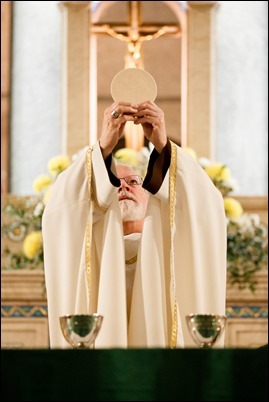 They always receive us with gracious hospitality. 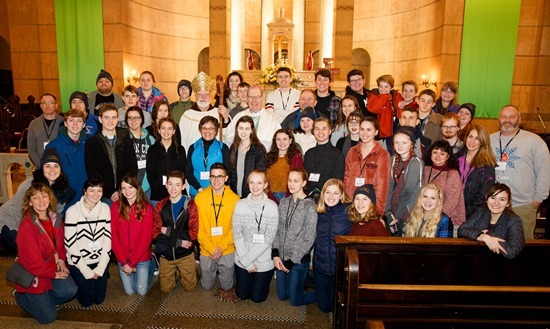 In addition to the Boston Pilgrims, we were so pleased to be joined once again this year by Bishop Robert Deeley and a group of pilgrims from his diocese of Portland, Maine. 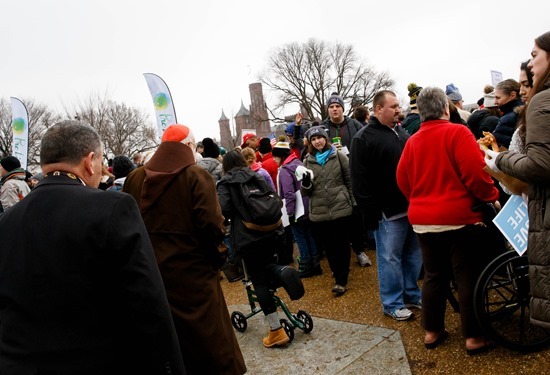 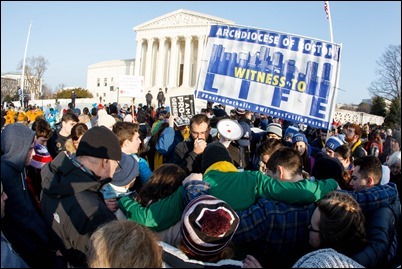 Following the Mass, we proceeded down to the National Mall for the rally prior to the start of the March for Life. 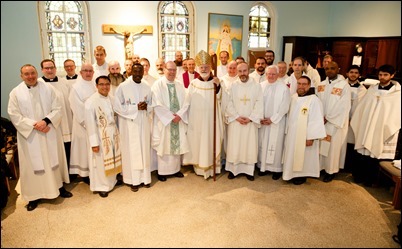 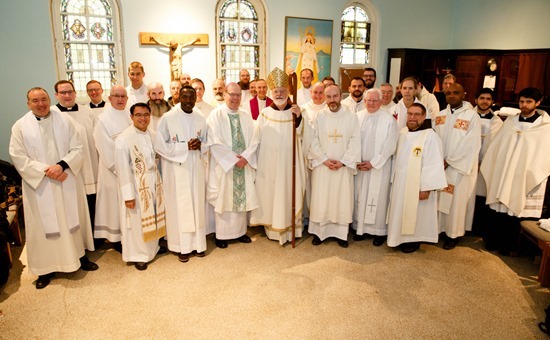 Once again this year, we were so pleased to be joined by a large number of Orthodox bishops. 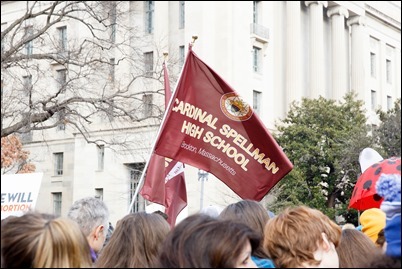 Vice President Spence also addressed the rally. 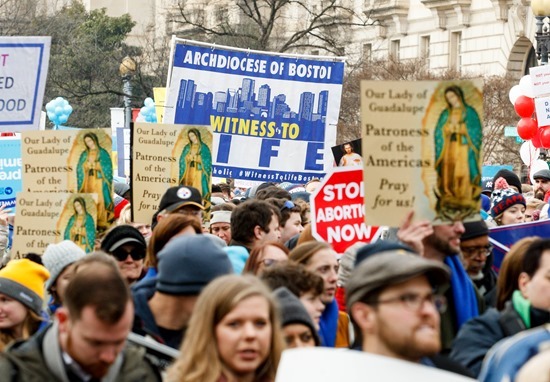 It’s always very encouraging that the March is growing. 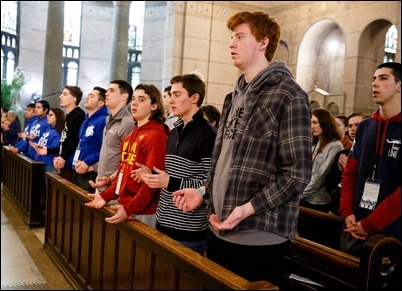 The Knights of Columbus have been so supportive of it and have really helped to make the program very much directed towards the young people who are present in such great numbers. 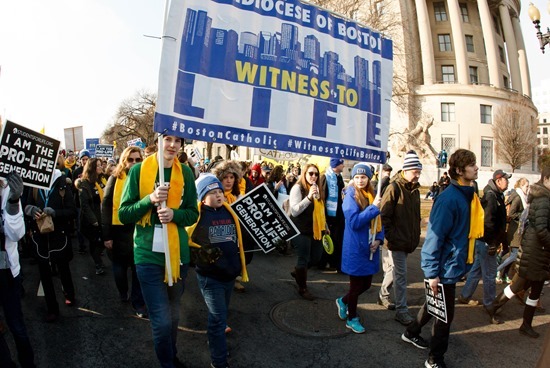 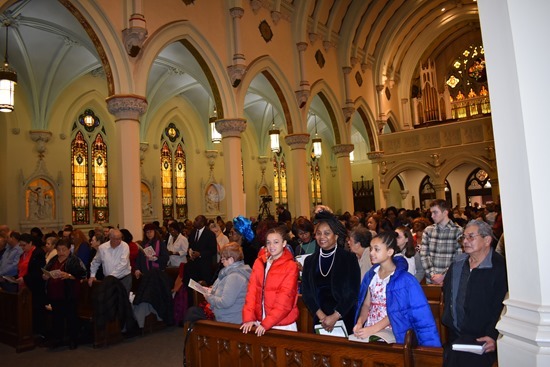 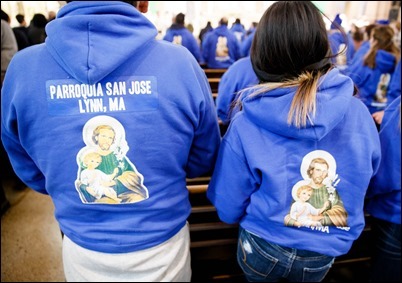 So each year it’s a great sign of hope, and we are very grateful that so many of our parishioners and young people from Boston were able to participate. 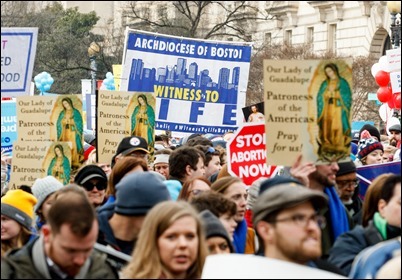 I think it’s very affirming of their faith for them to be in these huge crowds of hundreds of thousands of people sharing their Catholic faith and proclaiming the ideals of the Gospel of Life joyfully and courageously.